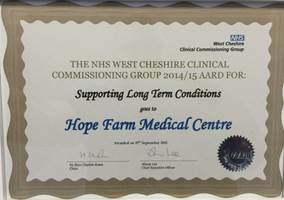 Living with a long-term condition ("chronic disease") can be difficult for some, but our aim is to guide and support all of our patients through their journey. Stroke / TIA - transient ischaemic attack, or "mini-stroke"
These clinics are by appointment only with the Practice Nurse; blood tests and other tests required for your chronic disease management will be undertaken by the practice Healthcare Assistant and Phlebotomist. You will need to have two appointments at least one week apart as part of your chronic disease management. The first will be with the Healthcare Assistant/phlebotomist and the second appointment with the Practice Nurse. Annual invitations concerning the Chronic Disease Management Clinic will be sent out to those applicable as a reminder for annual monitoring on the month of your birth. You may ring the practice in advance of receiving your letter to book your annual review appointments. A total of three invite letters will be sent; the week before your birthday and consecutive weeks following. These letters serve as a reminder and we urge you to contact the surgery at your earliest convenience to book any required blood tests and monitoring appointments in the clinics. If you believe you have been sent the letter in error, or the details on the letter are incorrect, please telephone the practice to bring this to our attention so we can address the issue.